You are planning to have warm church welcome? With our page by your side. You are guaranteed to find time to do what you love most and above all have what you need at one stop. Having a great warm welcome in the church is not a wishful thing but something that needs to be done with prayers. As a church you represent Christ on earth and we are called a body of Christ. Make sure the members and visitors who attend for the service never leave the church building the same way they came. Let everyone go home smiling because God is in control. Therefore our website is a point of reference where we bridge the gap that majority of the churches needs around the world. If you are looking for the a welcome speech or closing speech in the church we keep on updating this site to have relevant information that you need. The warm welcome one receive will determine the repeat church member. If we can take time to make visitors feel good and wanted amongst the church then we can make the church grow. Get the most welcome address here. You can customize it to fit the occasion. You are sure that the congregation will give God glory. 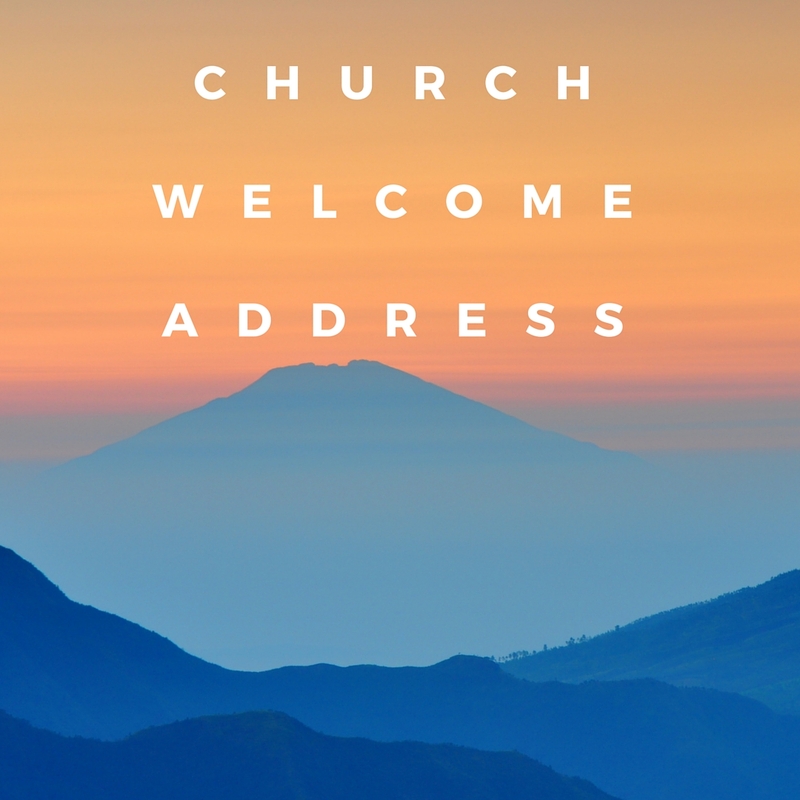 Here you will find a warm welcome speech to give as you usher in people for the service in your church. You already having a revival in the church and need a well written speech to have at hand as you welcome members and other invited guest to the church. This warm welcome speech will help. when giving a welcome speech,you can also add some lovely poems to connect with the souls of the brethren of God. This page gives a warm poem to share. This warm welcome will guide you on how to welcome members and visitors to the fellowship in your church.